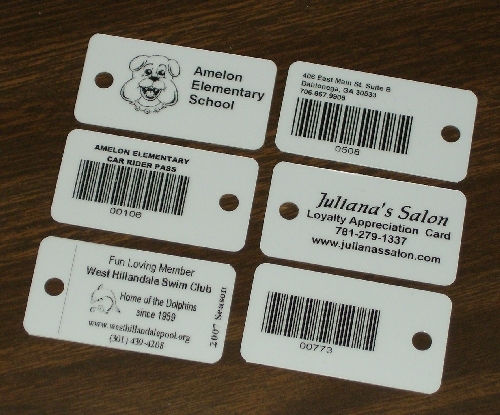 Neuton Data Systems - School Library Automation - Keychain B & W Cards . Two sided keytag cards - your image and message on one side of the keytags -- (incrementing) barcode on reverse. Two sided cards - your image and message on one side -- (incrementing) barcode on reverse. 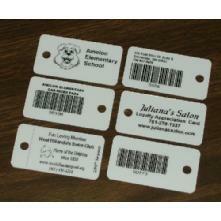 For professional looking keytag cards that are inexpensive - look no further.